Fitzsimmons knocked out Jack Dempsey in New Orleans. He defended this title only twice as he struggled to make the weight limit. He won the heavyweight title in 1897 and became one of New Zealand’s first sporting heroes. 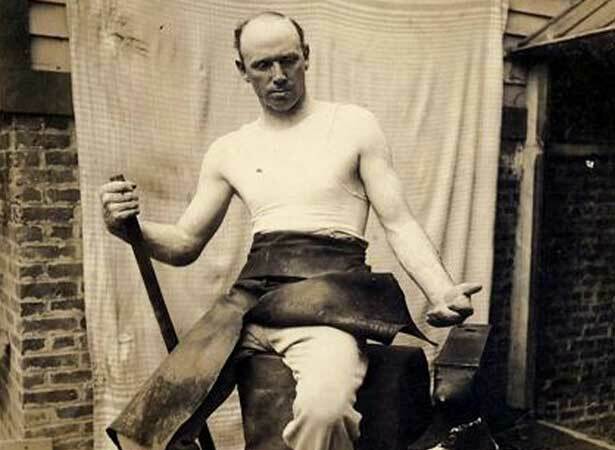 Fitzsimmons was born in England but learned his boxing – and developed his upper-body strength working as a blacksmith – in Timaru. ‘Discovered’ by the legendary British boxer Jem Mace in 1882, Fitzsimmons served his boxing apprenticeship in Australia. He won his first world title in 1891, knocking out Jack Dempsey (the ‘Nonpareil’, not the later heavyweight champion of the same name) to win the world middleweight championship. In 1897, at Carson City in Nevada, in the first fight to be filmed, Fitzsimmons knocked out James J. Corbett to add the world heavyweight crown to his CV. He held this title for two years. Known as Ruby Bob, he gained an unprecedented third world title at the age of 40 when he beat George Gardner over 20 rounds in San Francisco in 1903 for the recently introduced light-heavyweight crown. When his boxing days ended, Bob Fitzsimmons embarked upon a career on the vaudeville stage. He was inducted into the New Zealand Sports Hall of Fame in 1995. We have 1 biography, related to Bob Fitzsimmons wins world middleweight boxing title.